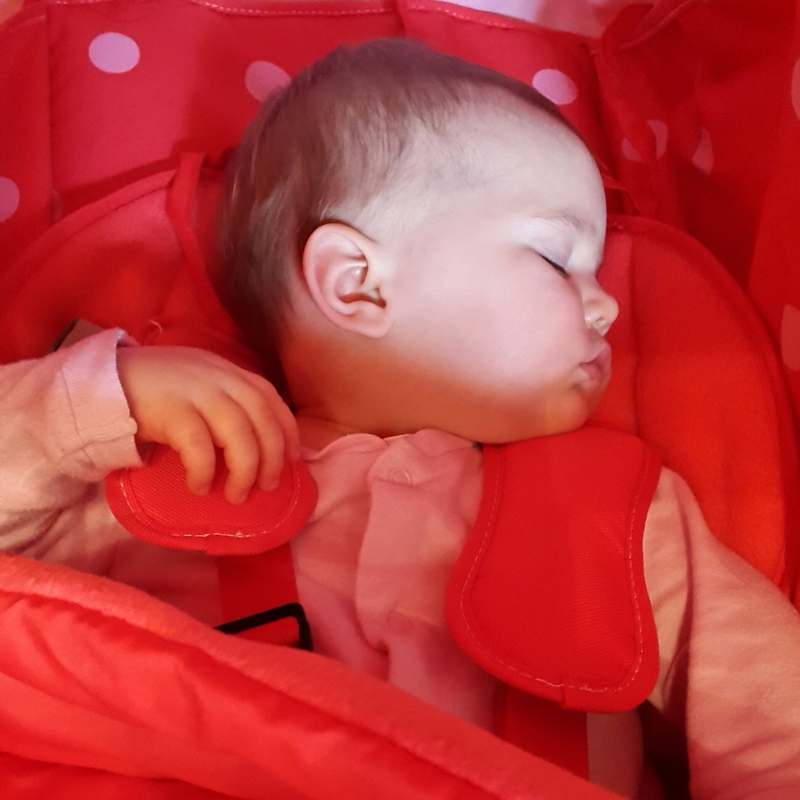 When Clara wouldn’t sleep this week and was being really clingy, I thought I would try out the new pushchair – and she was asleep in minutes! I have found a new best friend! 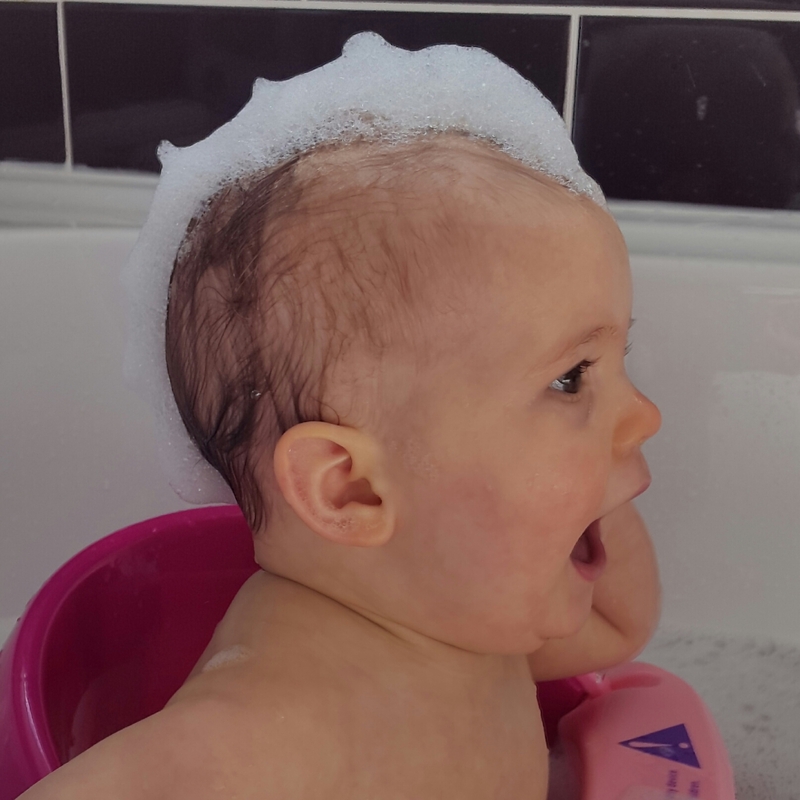 Paddy’s Bathroom are hosting the world’s first Bubble Barber for tots on the 26th and 27th April. Inspired by this, Clara modelled some soapy hairstyles at bathtime! Unfortunately we can’t make it (as we live the other end of the country!) 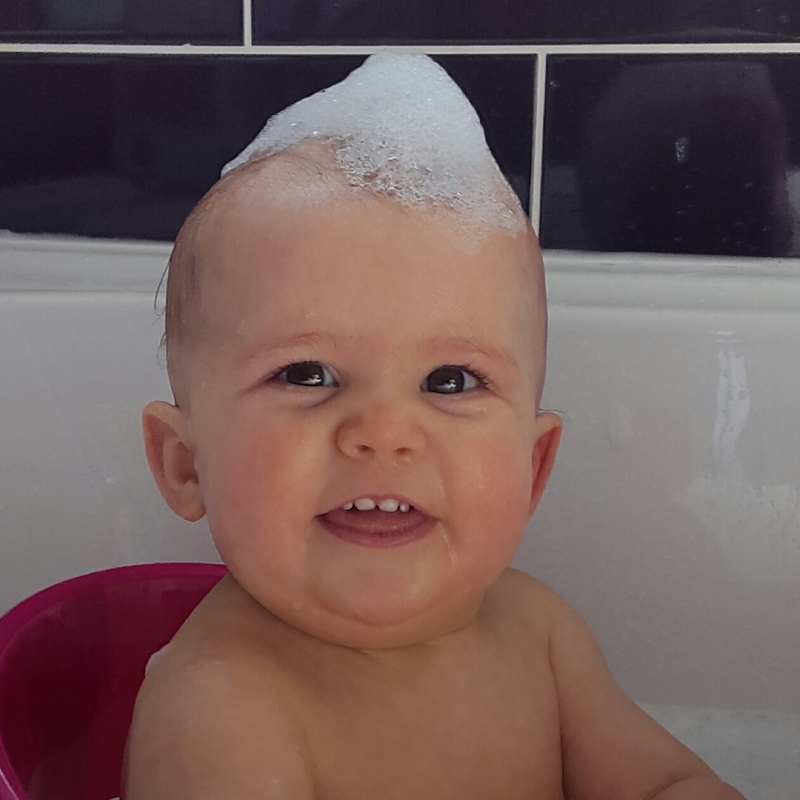 but if you are in the London area your little one could be rocking an iconic celebrity hairstyle made of bubbles. If you are interested in going along to the pop-up salon in Soho, visit the Paddy’s Bathroom Facebook page for more information. We went for a lovely Sunday lunch today to celebrate my Dad’s 70th Birthday. It’s usually quite tricky to get us all together as my parents have 5 daughters and 10 grandchildren, so at a family lunch we generally take over the place. 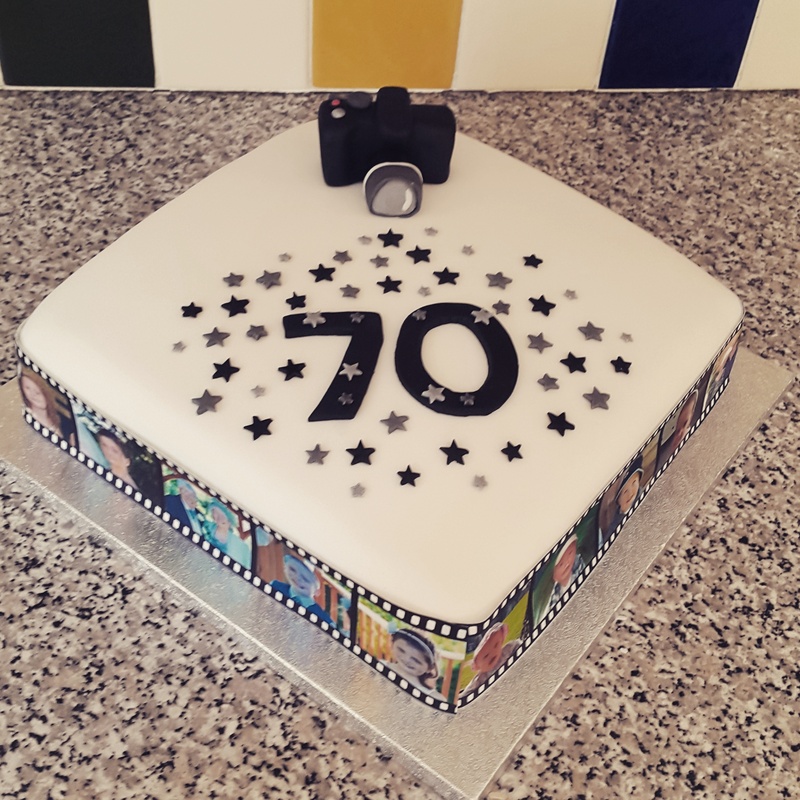 My Dad loves taking photos so I made a camera out of icing to go on the top of his cake. Around the sides I put some strips of icing that had photos printed on, like a film strip, which I bought from a shop on eBay. 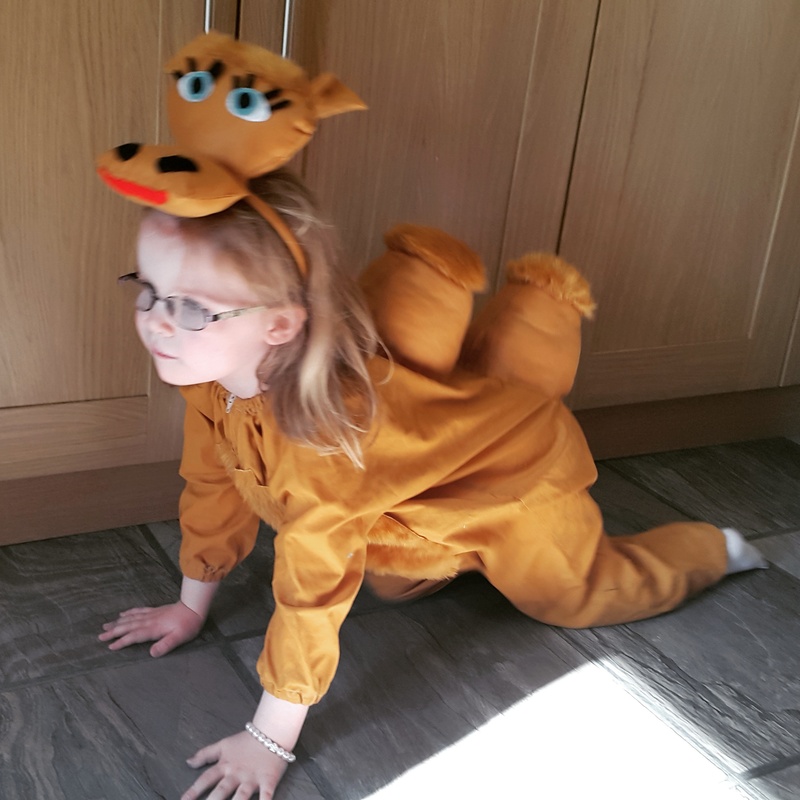 Izzy was on her best behaviour which was nice after a stroppy week (her being stroppy, not me) and my sister randomly gave her a camel outfit so as soon as we got home she was dressing up and pretending to camel race. Thanks to her Daddy, who was showing her YouTube videos of racing camels. My post about the things that furious 4 year olds say was featured as one of the picks on this week’s The List linky by Aby at You Baby, Me Mummy. Izzy and Clara’s minion footprints were chosen as one of the highlighted activities on this week’s Toddler Approved Tuesday linky by Becky at 3 Princesses and 1 Dude. We were sent some awesome goodies from the new snack range by Ella’s Kitchen, which we are looking forward to reviewing.